Assault is an offence under Section 265 of the Criminal Code of Canada. The definition of assault falls within a broad range. Generally, it is considered assault when a person intentionally applies force (directly or indirectly) to another person without that person’s consent. 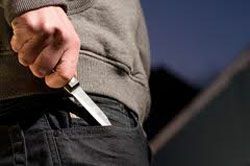 It can also be considered assault when an individual attempts to apply such force or threatens to do so, without the consent of the person at which the force is aimed. It should be noted, while an injury need not occur for an assault to be committed, the force used in the assault must be offensive in nature with the intention to apply unwanted force. For example, a “tap”, “pinch”, “push” or other minor action purposefully directed toward another can be considered assault. However, accidental application of force is not considered assault. Under Canadian law, the potential punishment for assault varies depending on the type of assault committed and its seriousness. The Criminal Code of Canada typifies an assault as a hybrid offence, which means the crown will elect whether to proceed summarily or on indictment. Summary conviction offences include the least serious offences under the Criminal Code of Canada. Indictable offences are the most serious of criminal offences. They include murder, acts of terrorism, robbery, drug trafficking, robbery, treason, certain types of sexual assault, and other serious criminal acts. NLC Lawyers is able to provide legal counsel and advice in the event you have been charged with an assault charge. Contact our violence/assault offence lawyers today for a confidential consultation. NLC Lawyers is a law firm based in Brampton, Ontario. We have some of the violence, assault offence lawyers serving across the Greater Toronto Area including Brampton, Orangeville, Fergus, Arthur, Guelph, Milton, Mississauga, Ajax, Hamilton, Markham, Scarborough, Toronto and surrounding areas.